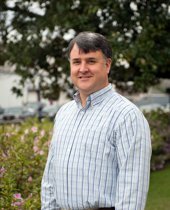 Barry Ward is a graduate of Neshoba Central High School and Mississippi State University. He has been a licensed Real Estate Agent with Martin Real Estate, now Hill Real Estate Group, since 2010. He and his wife, Beth Ann, have three children – Hannah, Eli, & Kase. He is an active member of First Pentecostal Church of Philadelphia. He and his family reside in the Little Rock community of Newton County.